Once again we are faced with the decision of who to elect to run our country. While the pollies vie for your vote, trying to convince you that they will do the best job, history has shown us that no party will ever give you everything you want and that election promises can be as empty as a Zen Masters mind. We vote for all kinds of reasons. Some vote for whoever has the best policies according to our values, others vote either for or against the personality representing a party, some of us just follow who our parents vote for. Essentially we are voting for whichever party we believe will result in us feeling happier. Whether they will make things better for our career, our family, our community or the environment. Two of the most profound lessons I have learned in recent years include the power of the law of attraction and the magic of intuition. The law of attraction states that whatever you hold your focus on is what you will attract more of in the future. Without any concern for what you consider to be good or bad, this law is perpetually working in everybody’s life. It is, always has been, and always be the reason why you are who you are today. The knowledge of this law has begun to take the world by storm, as those who understand it are using it to shape their world to become way they want it. Essentially to create more happiness in their lives. The best part about the law of attraction is its simplicity. The most efficient way to attract what you desire is to take your focus off how to achieve it, and only focus on what you want, leaving the how up to the infinite power of the universe. 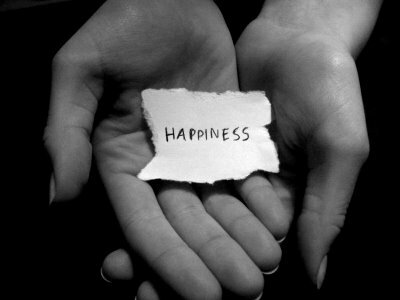 And what I have been discovering lately is that at the root of all my desires, all I really want is to be happy. And the more I stop thinking about what will make me happy, and simply enjoy the moment, the happier I have become. In fact as I navigate my journey of self discovery whilst travelling around this amazing country I feel the happiest I have ever been in my entire life. Through practising this method I have developed an incredible trust in my intuition. I have learnt that following those little intuitive nudges are what brings my desires to fruition more quickly, instead of listening to my rational thoughts which actually keep me from experiencing what I am seeking. We voted early in the federal election as Jill and I are about to explore the remote and majestic Kimberly region of North Western Australia. This time around I had more faith in my vote than ever before. That is because I used the unimaginable power of the law of attraction guided by my intuition. This is what I did. I folded the top section of the ballot paper over so that I could only see the 62 boxes requiring numbers, not the party names. Then I closed my eyes, smiled and simply felt happy. This is actually quite easy. You may have to think of an experience when you were really happy then grow that happy feeling in your heart and let go of the memory. Once feeling happy I just started randomly numbering the boxes from 1 to 62, following my intuitive nudges as to where the pencil wanted to go and focussing my eyes only on the box to number, not the name next to it. All the while feeling that joy in my heart. Because the ballot paper is so long I also had to fold it in half lengthways so it would fit in the polling booth. I just flipped it back and forth whenever I felt to do so. This process is actually how I make a lot of my decisions these days. When faced with a choice, I make sure I feel happy before making the decision and then inquire what each choice feels like. Now I am sure that whoever I ended up voting for, instead of using the power of my piddly little brain, the unfathomable power of the universe is at work to bring about more happiness in my life.